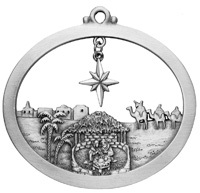 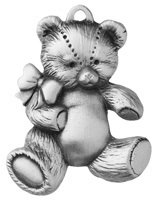 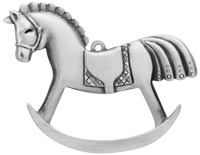 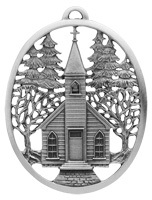 This fine pewter ornament features giraffes, elephants, monkeys, sheep, rabbits, and more. 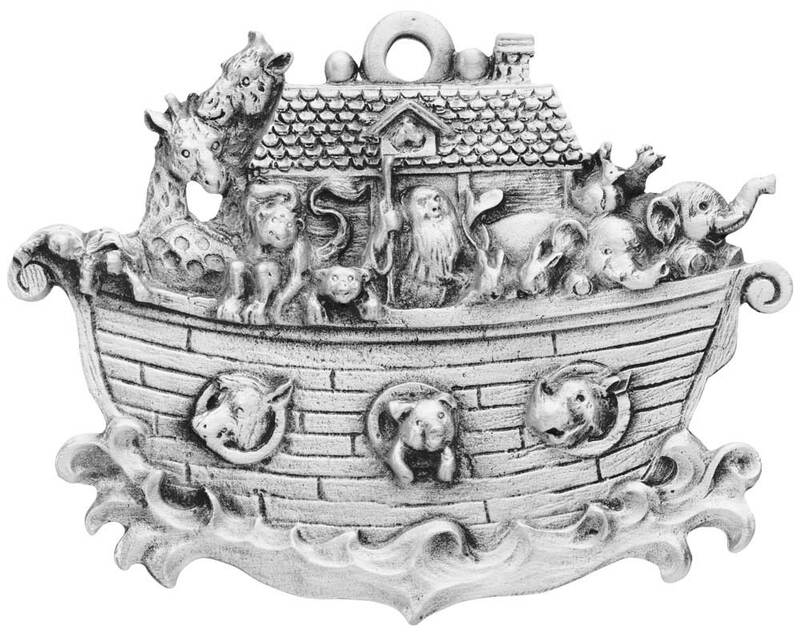 Noah's Ark is teeming with fun. 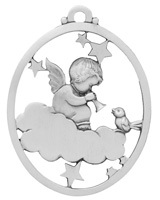 Watch the children's wide-eyed wonder as they hear of Noah's obedience and God's faithfulness to bring Noah's family and the animals through the flood. 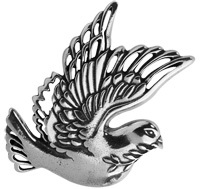 A favorite story for young and old alike, Noah's Ark provides us with a beautiful symbol of hope and encouragement. 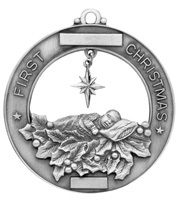 Hang this ornament on your Christmas tree or display it in a child's room year-round. 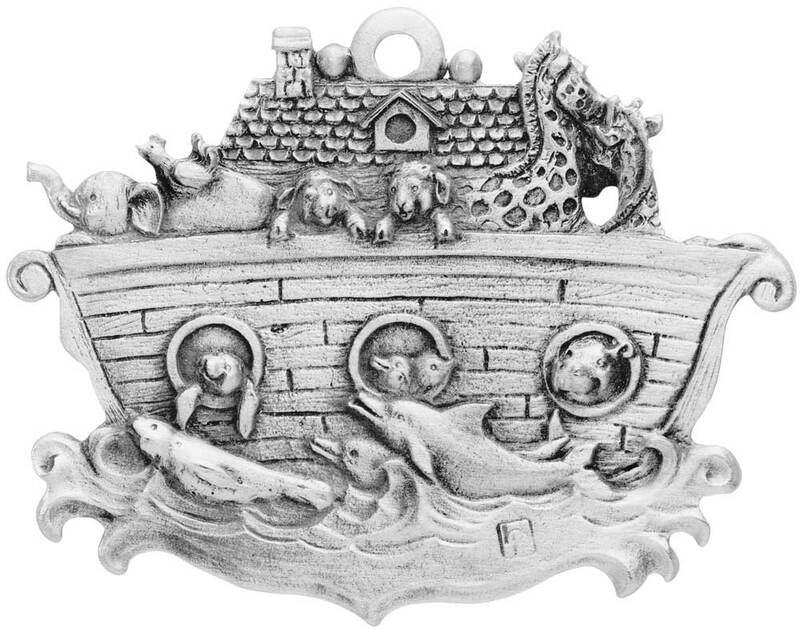 There is amazing detail on this ornament from the shingles on the roof, the waves, to Noah and all the wide-eyed animals.